With so much going on at Canadian Friends Service Committee, did you know that we’re actively supporting the work of Friends in Burundi and DR Congo? CFSC’s Peace Committee clerk, Bertha Small, was recently in Bujumbura and Kinshasa to visit partners, learn about their work, and support Alternatives to Violence Project (AVP) training for Kinshasa Monthly Meetings’ Muinda Peace Project. Friends in these two countries are working in difficult conditions and continually building peace. In Burundi, the focus is on health promotion and addressing gender-based violence. In Kinshasa, the focus is on training local groups of volunteers to help transform conflicts in their neighbourhoods. The national gathering of Canadian Quakers - Canadian Yearly Meeting (CYM) in session - was held in August at Georgian College in Barrie, Ontario. Canadian Friends Service Committee was heavily involved. Many staff, members, and associate members of CFSC were present and active in the many events throughout the week. CFSC staff Jennifer Preston helped organize the daily Quaker study on the topic of reconciliation (https://quakerservice.ca/our-work/indigenous-peoples-rights/truth-and-reconciliation/) with CFSC members and associates presenting each day. 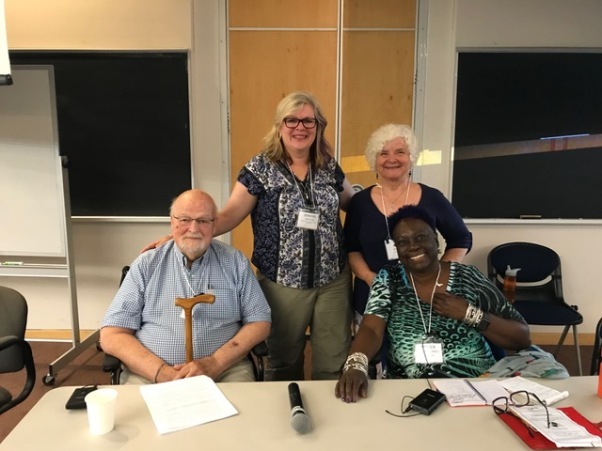 Verena Tan, Joy Morris, and David Summerhays delivered two discussion/workshop groups related to criminal justice (https://quakerservice.ca/our-work/justice/). Members of CFSC's Israel/Palestine Working Group led a discussion/workshop on the No Way to Treat a Child campaign (https://quakerservice.ca/nowaytotreatachild). Congratulations to Lynn Salvo on her record-setting ride for peace! On August 26 Lynn Salvo reached the Atlantic Ocean – the end of a Guinness World Record setting cross-Canada ride to support the peace work of CFSC and our sister agency American Friends Service Committee. 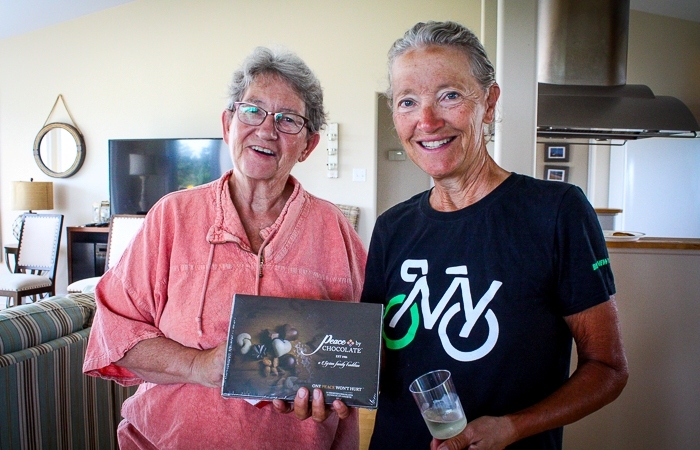 Lynn biked 6,616 km across Canada, becoming the oldest woman to do so. She had the chance to visit eight peace monuments and meet Friends and friends along the way. Congratulations Lynn!